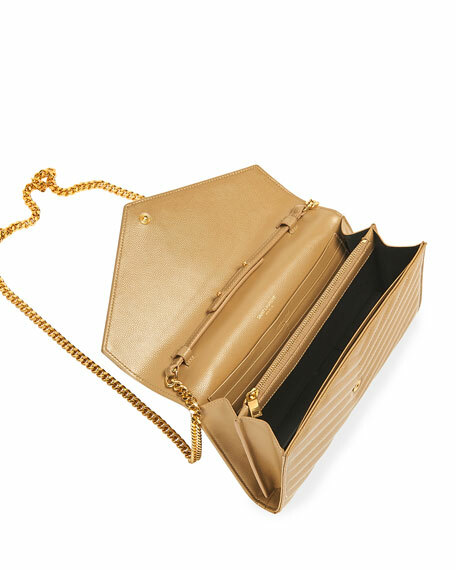 Saint Lauren pebbled calfskin chain wallet with golden hardware. 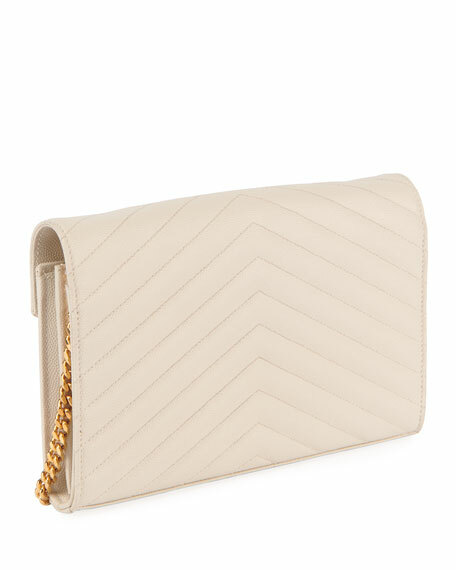 Tonal topstitching creates chevron pattern. Leather and curb-chain shoulder strap; 19" drop. 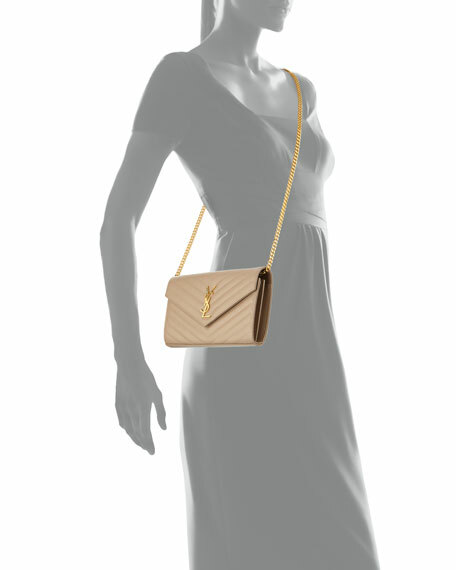 Envelope flap-top with YSL logo medallion. Two bill slots; twenty card slots. 5.5"H x 9"W x 1"D; weighs 1.1 lbs. For in-store inquiries, use sku #291932.